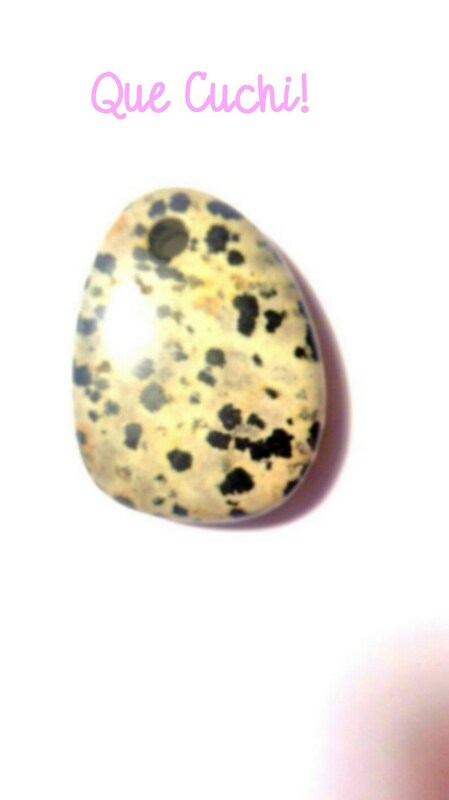 Rolled stone in oval shape a triangular holled in dalmatian jasper. Triangular stone of approximately 4.6 x 3 x 1 cm of Dalmatian Jasper with holes for making jewels. Jasper is very invigorating during pregnancy. Calm nausea, indicated for the liver, spleen and stomach. Suppresses negative vibrations and brings life force. encourages the realization of projects. Zodiac: Aries, Scorpio and Capricorn. Rolled stone pendant Eye of tiger to choose.